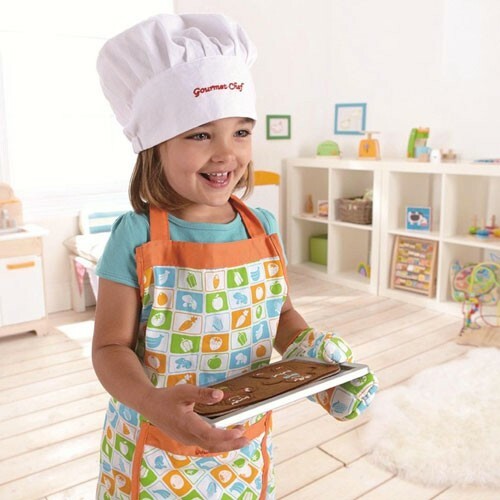 Your little one will be a whiz in the kitchen with Educo's real-life cooking attire. 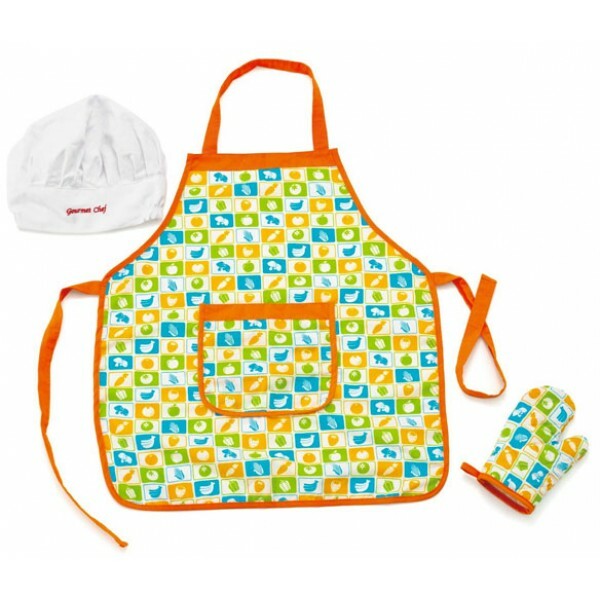 Whether they're whipping up a delicious feast in a pretend kitchen or helping Mom and Dad with a real dinner, this colorful apron is perfect for keeping messes to a minimum. 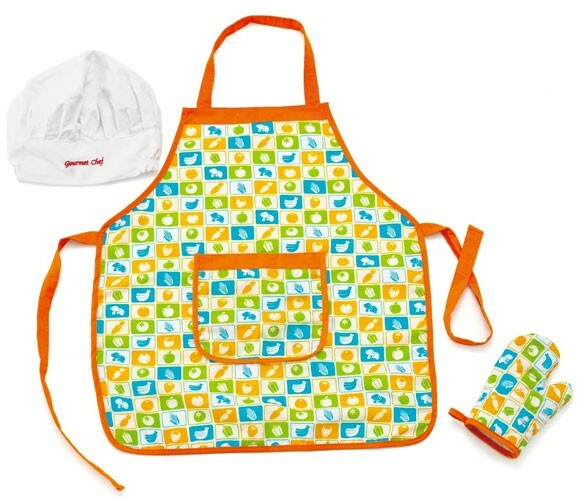 Set also includes a chef's hat and an oven mitt. One size fits most.